The romione kiss. You have to wonder...=). HD Wallpaper and background images in the romione club tagged: hermione ron romione love kiss deathly hallows. 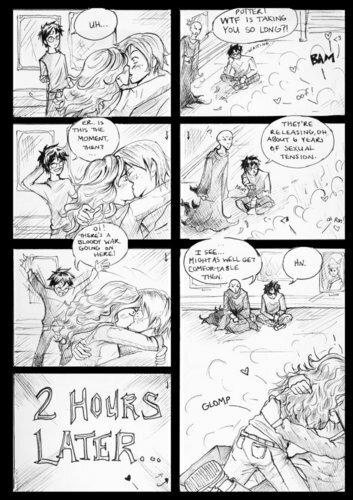 This romione fan art might contain anime, banda desenhada, manga, desenhos animados, mangá, and quadrinhos. lol i love this one so much!!! THE KISS CHOULD BE LIKE THIS IS HELL OUT OF FUNNY LOL!!!!!!!! Potter! WTF is taking you so long?! ROFL cracked me up! LOL: "They're releasing about six years of sexual tension"
I think this is what Rupert was talking about. This might be funny, but it's also kind of creepy. There's a sight for sore eyes. 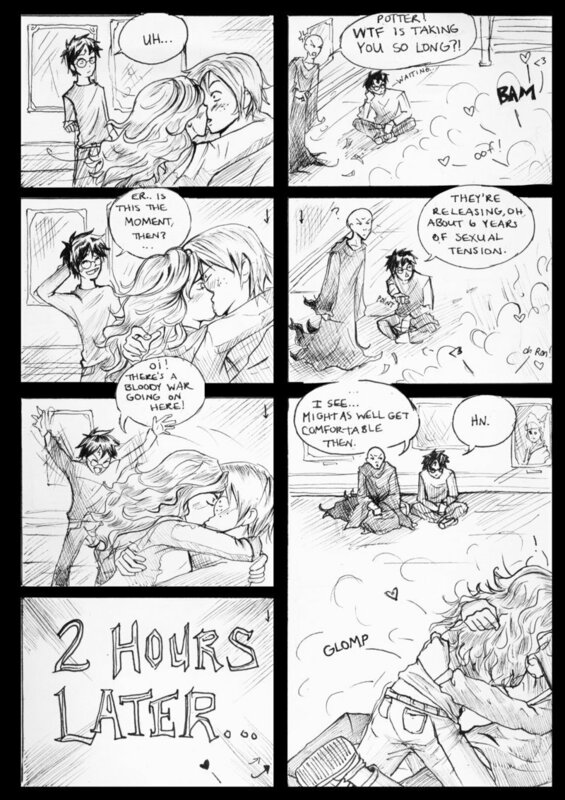 Voldemort and Harry Potter stopping everything to wait for the Romione kiss. I kinda wish it could have been like that!! :D LOL!